Show me your wedding party & flowers! Things I am loving right now.. It is officially our anniversary weekend! I am going to do a series of "One year ago today..." to recap our fabulous wedding weekend. 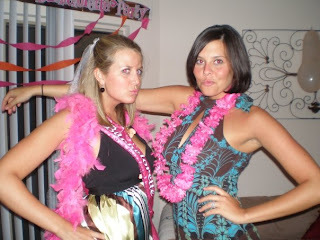 Even though wedding planning can cause a lot of headaches...I would so relive it again in a heartbeat!!! Here is a group pic...I have pretty friends! My besties rented the FUR BUS! It was a lifelong dream of mine to ride on a fur bus. I can now die happy. This was Stacey, our driver. And again:) I love these girls. We had so much that night! Most of the time was spent on the fur bus (amazing) driving around Atlanta & dancing. Great night with fabulous friends!